This week, singer/songwriter Jamie Grace shared the joyous news that she’s making her comeback this fall. It’s been over 3 years since we were jamming to the glorious tunes of “Ready To Fly”. Our long wait finally comes to an end on September 1st when the now indie artist releases “91”. All rights to the image and info belongs to Jamie Grace. 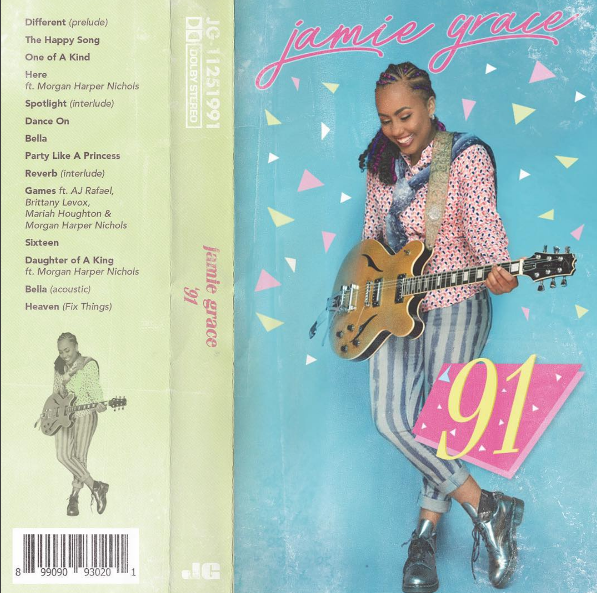 This entry was posted in Entertainment, Music, News and tagged 91, independent, Jamie Grace, Ready To Fly. Bookmark the permalink.